The Ayahuasca Defense Fund is dedicated to shaping a world in which sacred plants can be used legally and safely. This community program is based on legal defense, education and policy reform. This project seeks to bring the community together to address legal challenges. Our strategy was to reflect the community element through the photographs and to indicate the possibility for change in the logo. ADF would be the spearhead for changing laws. The logo’s shape is inspired by the vines of the plant and is a metaphor for the union of the different parts to achieve a common goal. 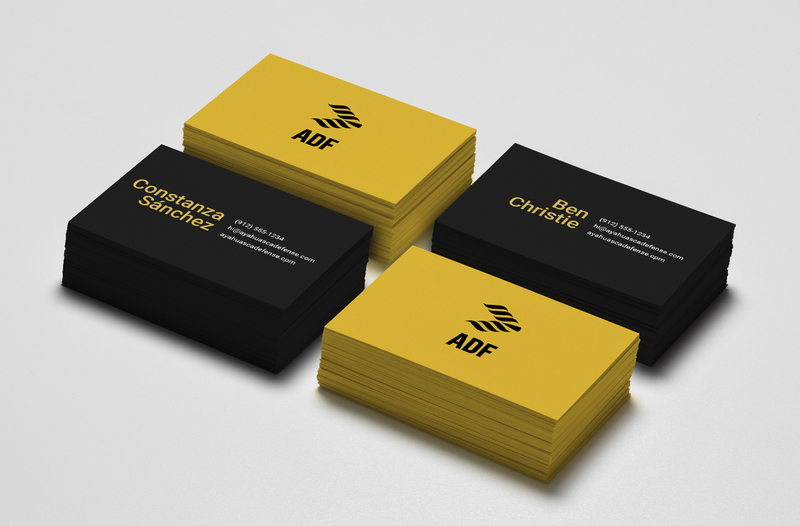 Through a color palette based on nature, black and yellow represent the threat ADF seeks to present to the legal status quo. Through varied graphic applications, the brand becomes something consistent and easy to remember.